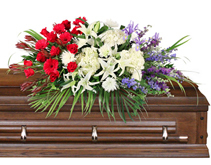 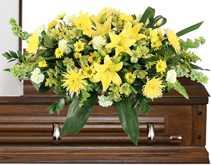 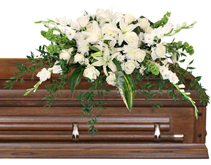 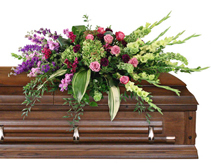 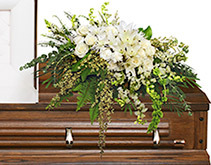 Remember your loved one with an elegant casket piece that embraces their sophistication and spirit while giving comfort to those who are mourning with its gentle beauty. 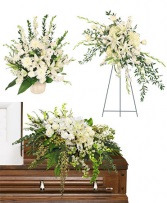 The Peace Always casket spray will ease the hearts of the friends and family with its calming white hydrangeas and embody their vibrant spirit with red roses in a sea of ivy. 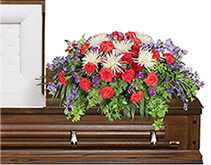 **Customize this order by requesting your color palette **. 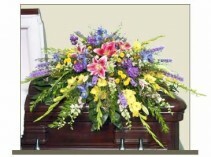 Must call in this order to request your color palette. ** Customize this order by requesting your color palette ** Must call in this order to request your color palette. 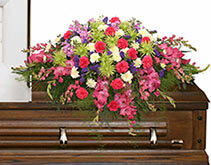 Send your loved one off with a radiant spray featuring lush green hues and accents of pink and purple. 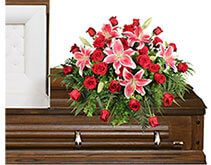 The Calming Memories casket spray is a tender expression of love ideal for commemorating an elegant woman. 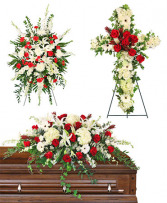 ** Customize This order and request your color palette **. 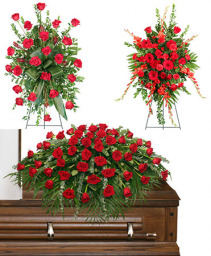 Must call in this order to request your color palette. 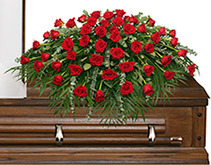 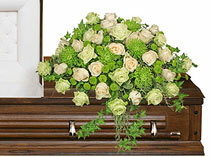 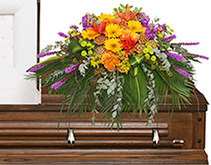 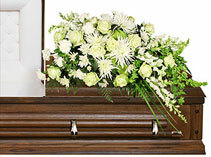 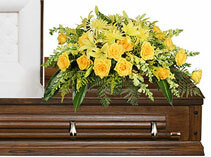 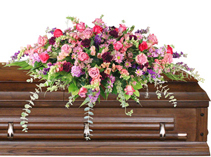 Send off your loved one with a bright casket spray that is as spirited as they were. 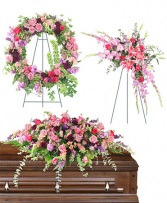 The Divine Destination casket arrangement features breathtaking hues of purples and pinks with uplifting carnations and daisy poms, ideal for the remberance of any unforgettable woman. **Customize this order and request your color palette ** Must call in this order to request your color palette. 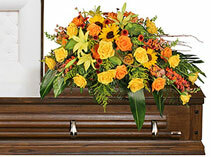 ** Customize this order to request your color palette ** Must call in this order to request your color palette.